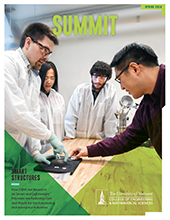 Join us in celebrating the engineering profession and over 40 capstone designs! 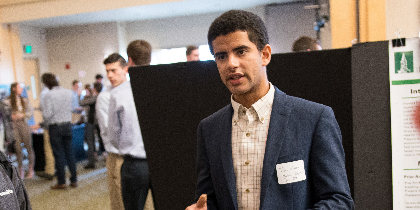 Join us in celebrating the engineering profession and over 40 capstone designs developed by teams of Civil, Electrical, Environmental, Biomedical and Mechanical Engineering seniors! Ovens are amazing objects. For thousands of years, they’ve cooked our food and heated our homes, allowing us to thrive as a species. But in India, traditional clay ovens, called chulhas, have been producing devastating results: life-changing burns and even death when embers and ashes fall on children or women’s long-sleeved saris catch on fire. 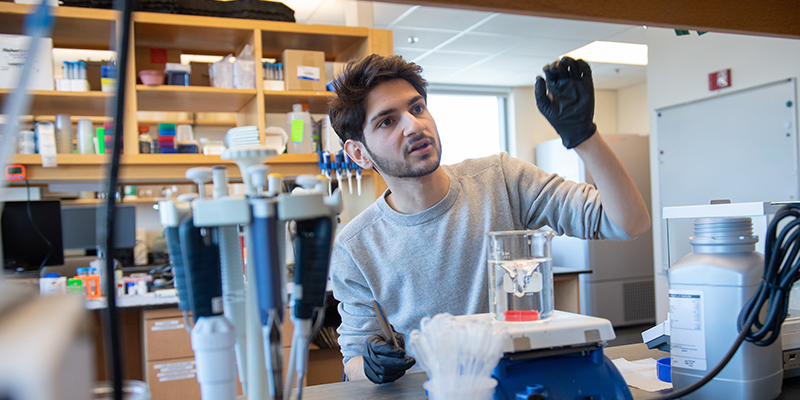 From shaping our understanding of cancer to tracking the effects of climate change, we take a look at some of this year’s most exciting student research.